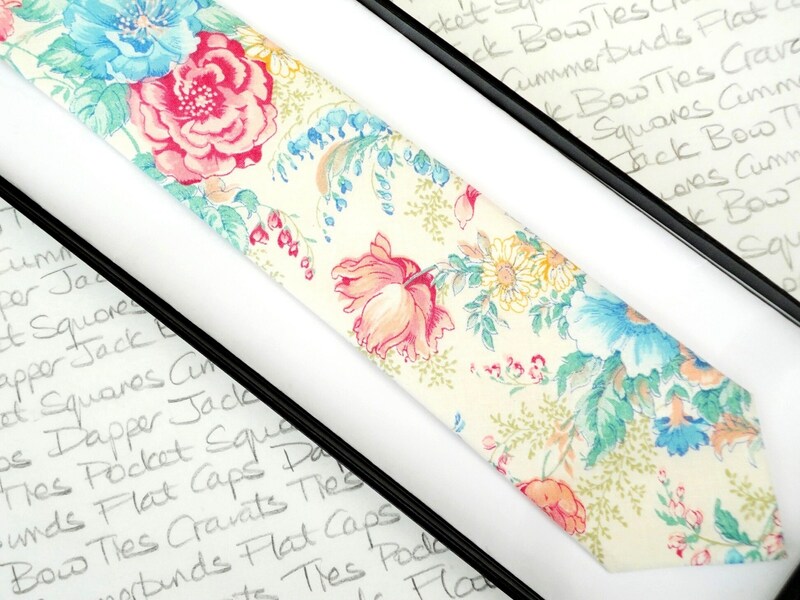 Width of neck tie standard width 3" slim width 2.5"
Due to the nature of the print no two ties will be the same, each one will be unique. 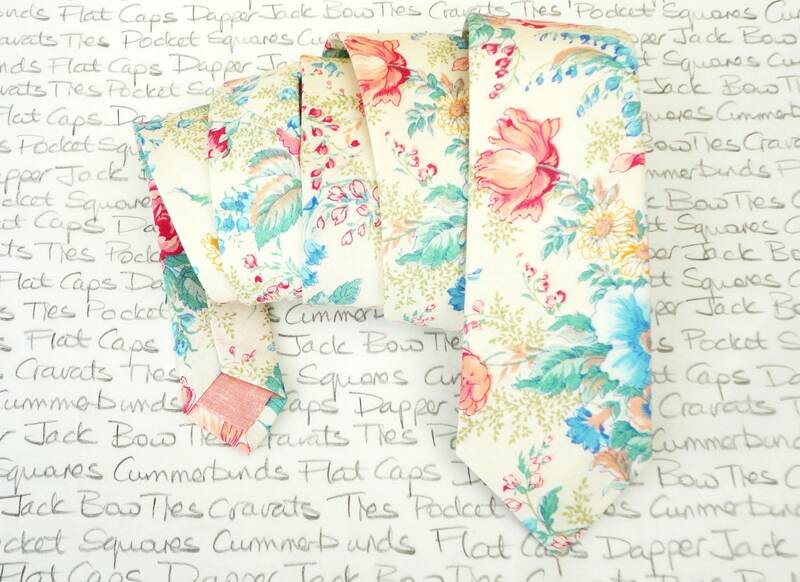 All ties are made in a traditional manor with fabric cut on the bias and interlined with either man made or wool blend interlining. 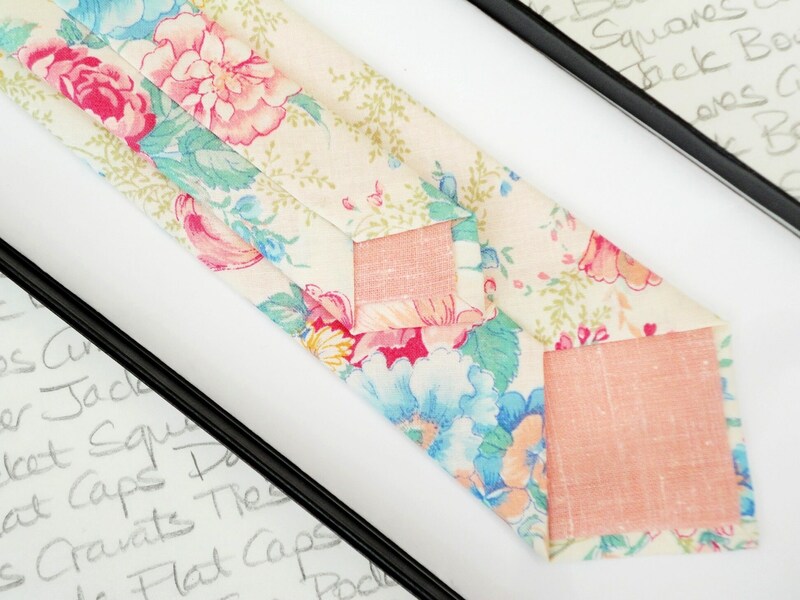 The tie is hand stitched along the fold.